I also redeemed a Coupgon for $1 off Groceries and $0.50 off Groceries. Total before Coupgons and discounts: $114.91 Total after Discounts and Coupgons: $88.67 Cash Back Offers Claimed: Zweet $0.25 (bread) PC Plus POINTS earned: 1,000 = $1 ▪•••••▪•••••▪•••••▪•••••▪•••••▪ Don't ever pass by the discount rack or pink stickers! 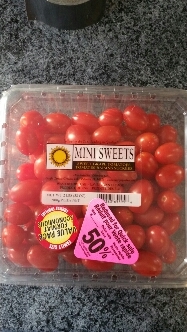 The tomatoes were a great price with pink sticker. Only 2 were bad! I wanted to stick to my list today but there were so many pink stickers all over the store. 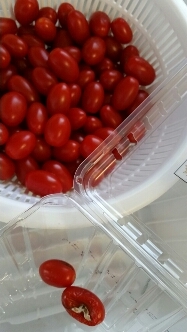 If I knew I would have time to prepare, I would have picked up more fresh food to make freezer meals, soups or just to freeze as is. Knowing I will want to shop again just before Christmas, I only purchased what I know we will eat this week. I allow myself to shop more often in Dec and have room in my budget to feed company for the next few weeks. We are hosting family for Turkey Dinner and again on the 30th for my son's birthday. Budgets tend to be tighter for most this month. 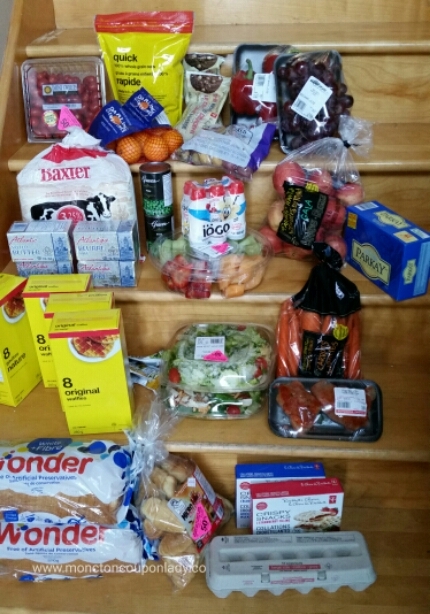 I have airmiles saved to redeem at Sobey's, points at Superstore and recipes picked out to make meals for the next 3 weeks. What are some of the things you do in December, when it comes to saving on everyday costs?